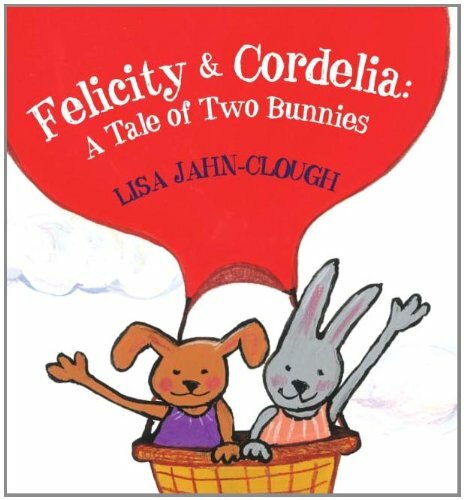 Felicity & Cordelia is about two bunny friends who are very different. They love spending time together, but do not enjoy the same things. Felicity wants to go into a hot air balloon for an adventure, but Cordelia would rather stay at home making a pie for them to eat. So Felicity decides to go by herself, leaving Cordelia behind. Felicity assures Cordelia that she will pack everything she needs to be safe on her adventure. Cordelia makes a pie, cleans the house, and waits for her dear friends return—but it doesn’t happen. Felicity gets into an accident and is lost. She is, however, determined to find her way back home again. She promised Cordelia before she left that she would write to her letting her know how she was doing on her adventure. She does this several times. Felicity wishes she was back home with Cordelia but, being lost in a far away land, prevents that from happening. Will Felicity ever find her way back home to Cordelia? Children between the ages of 4–8 will enjoy this hardcover 40-page picture book about friendship and the acceptance of differences. The book contains simply defined drawings that relay the story well, helping to impart its series of messages. Though we may not always enjoy our friend’s interests, we should always embrace their tastes, talents, and skills encouraging them to do what they love the most. Our differences makes each one of us special, but it’s our acceptance of each other’s dreams that lights the way like a beacon in the night creating an everlasting bond between friends.